An exciting new development in planetary exploration was announced yesterday: NASA has chosen the science instruments which will be included in a new mission to Jupiter’s moon Europa. For those advocating and supporting such a mission, this is welcome news indeed. Europa’s subsurface ocean has become a prime target in the search for possible life elsewhere in the Solar System, and this mission may finally help to answer long-standing questions about this fascinating moon. 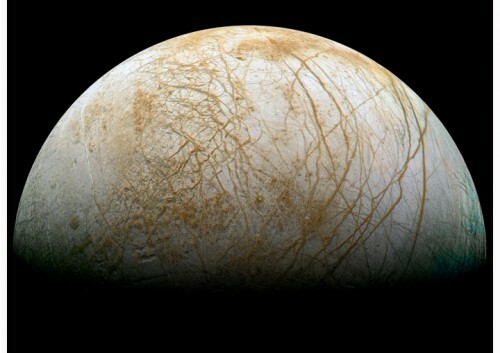 Jupiter’s moon Europa, with its subsurface ocean, is considered by many to be the best place in the Solar System to search for extraterrestrial life. With NASA now committing itself to a new mission sometime in the 2020s, the focus is turning to what would be the best strategy for looking for any life which may be there. Over 200 scientists and engineers met at NASA’s Ames Research Center in Mountain View, Calif., last week for a workshop called The Potential for Finding Life in a Europa Plume to do just that.